Here’s more about the topics I researched while writing "Star Reacher". The first image below shows Blood Falls, a formation of rust-colored ice that is emerging from the end of a glacier in Antartica. The microbes that give the ice its red color have traveled four kilometers to reach the glacier’s terminus, and they are part of an ancient ecosystem that has been trapped under the glacier for more than a million years. The red comes from iron, an end product of the microbes’ metabolism. They reproduce slowly–it’s estimated that a bacteria would divide once every 300 days. Artic and Antarctic ice fish can survive in temperatures that are below the freezing point of pure water, which would freeze the blood of any regular fish. Their secret is that at some point, their ancestors lost the ability to produce hemoglobin. These fish have clear blood, without the large red blood cells which would, in other creatures, bunch up and become viscous in very cold temperatures. The ice fish still use oxygen, but it apparently is carried directly in their blood, or what’s left of it. 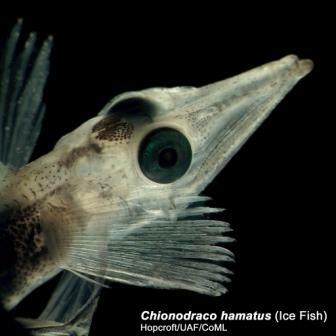 Ice fish don’t have any significant part to play in my story–I just thought they were cool! Last but not least, in this story I give one of my characters a terribly painful back problem (because I’m mean and enjoy making my characters suffer) for which he eventually has to undergo spinal fusion, a surgical procedure where two vertebrae are combined into one. Surgeons take a bone graft from elsewhere in the body, and use metal screws to hold the vertebrae together, and eventually the bone graft grows and “fuses” the vertebrae together. And if that ain't romantic, I dunno what is!